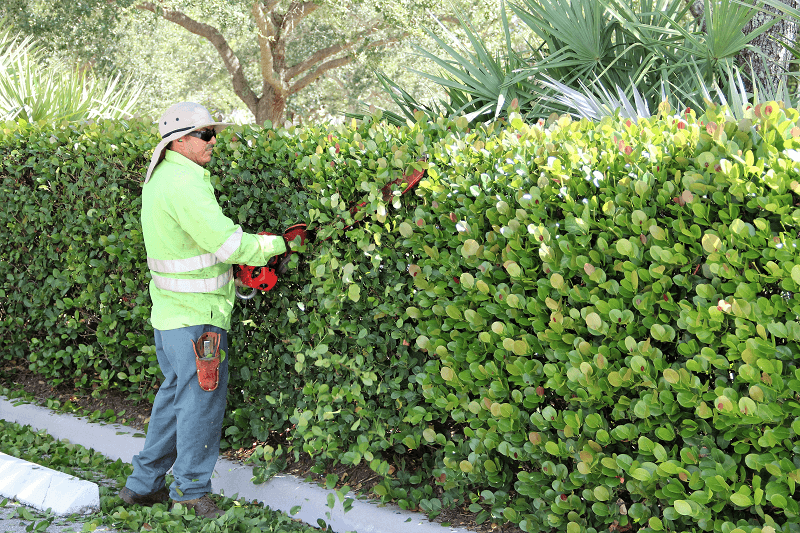 Safety is a primary area of concern and a main focus for us here at Palm Beach County Landscape. As an industry that is plagued with workers that are constantly operating inherently dangerous mechanical equipment, the chance for an accident is unusually high. 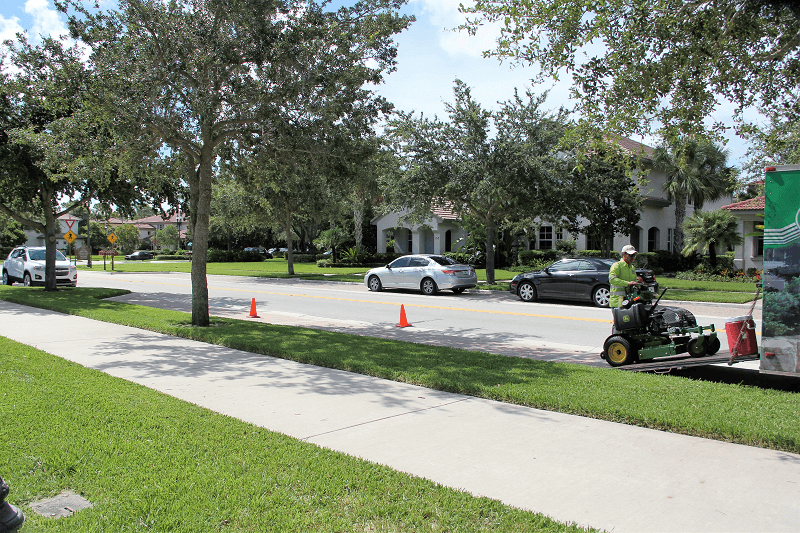 Because we value each of our employee’s safety above all else and because we want each and every one of them to go home to their families at the end of each work day just as they arrived for work – employee safety is Priority #1 for us here at Palm Beach County Landscape. We’ve all seen the landscape company driving around town or down the highway with their landscape crews riding in the back of their trucks. We think this is one of the most egregious safety violations that any company could ever commit. Because we truly value our employees and their personal safety, we will never dispatch one of our vehicles without providing each occupant with a seat in the cab and properly protected by wearing a DOT approved seat belt. One of the best ways we can help create and promote a safe work environment for our employees is to provide constant training to each and every employee. We are constantly providing ongoing safety training classes for all our employees that has been widely approved by industry leaders, equipment manufacturers, insurance providers and OSHA regulated sources. This training is focused around individual and specific equipment safety handling procedures such as the proper way to use a ladder, lawnmower safety guidelines and hand-held edger and trimmer safety precautions just to name a few. Commitment – One of the best ways to achieve our safety goal is for our management team to be consistent in our focus and our training around safety. This commitment begins with our management team and flows all the way through our organization on a daily basis. Awareness – Once commitment to a safe working environment is established, the next step is to become aware of the unique safety requirements of our industry, our individual properties and/or specific functions within our organization. We then begin to look for opportunities to minimize unsafe situations within our own organization and our daily practices. Since safety as an industry is typically more reactive than proactive, it takes constant awareness, vigilance and attention to detail to help identify unsafe situations and to then develop and implement specific training plans and corrective actions necessary to minimize or eliminate the potential for accidents. Response – The way we as a company respond to unsafe situations is critical to our success and to providing a safe working environment for our employees. Equipment manufactures take great strides to ensure that the proper safety guards and operating instructions are provided for on all of their machines in order to minimize and prevent accidents. We support these initiatives and ensure that all employees have the proper training prior to use of any equipment and that all safety guards and procedures remain in place and are operating properly. Training – We utilize multiple resources to help us instruct and train our employees on proper safety procedures such as OSHA, DOT as well as our insurance companies and industry trade resources. Evaluation – Even with all the best efforts of any successful company, the true measure of our success is how well our employees understand their roles and the importance of safety and how they practice those principles on a daily basis. We are constantly evaluating our landscape crews on a daily basis in their operation of dangerous equipment and their adherence to our safety guidelines and principles. By keeping safety at the top of mind in everything we do, we believe it is well worth the additional cost of providing this training by creating a safer work environment for our employees and demonstrating our leadership in an industry that is prone to cutting corners.